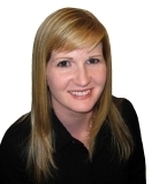 This weekend’s open houses will be held in Aberdeen, Brocklehurst and Sahali. This immaculate home is located close to transportation, schools & shopping. 4 bedrooms& 2 full bathrooms. Located on a 10,570 square foot fenced lot w/ fruit trees. Updates include new flooring, new kitchen counter tops, new furnace in 2003, new roof & hot water tank in 2008. 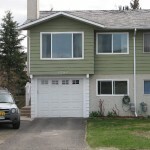 This beautifully updated half duplex in Lower Sahali has numerous updates all done within the last four years. Updated kitchen, flooring, windows and much more. Tiled, covered patio, enclosed garage and large private back yard. 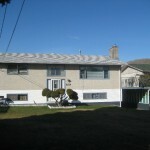 Located in a quiet cul-de-sac with tons of parking, close to schools, hospital, TRU, transportation and shopping. This home has 5 bedrooms & 3 full bathrooms. 2,600 square feet of living space. 2 car garage w/ lots of room for all your toys & a large fully fenced yard w/ in ground sprinklers. The living room has high vaulted ceilings with floor to ceiling windows & a beautiful valley view. 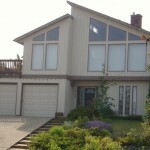 5 bedroom home with a 2 bedroom basement suite with a separate entrance. There is separate laundry for the upstairs and downstairs. Recent updates include siding, roof, furnace and air conditioning. There is a detached workshop in the back with drive through access from the front. Single car carport and above ground pool.